We're Americans…. We had nothing to do with the war. We simply happened to look like the people that bombed Pearl Harbor. 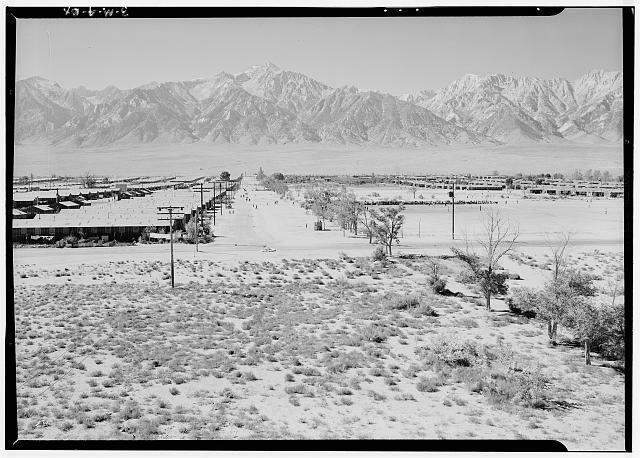 But without charges, without trial, without due process—the fundamental pillar of our justice system—we were summarily rounded up, all Japanese Americans on the West Coast, where we were primarily resident, and sent off to 10 barb wire internment camps—prison camps, really, with sentry towers, machine guns pointed at us—in some of the most desolate places in this country. Takei and his family were among over 100,000 Japanese-Americans— over half of whom were U.S. citizens—interned in such camps. 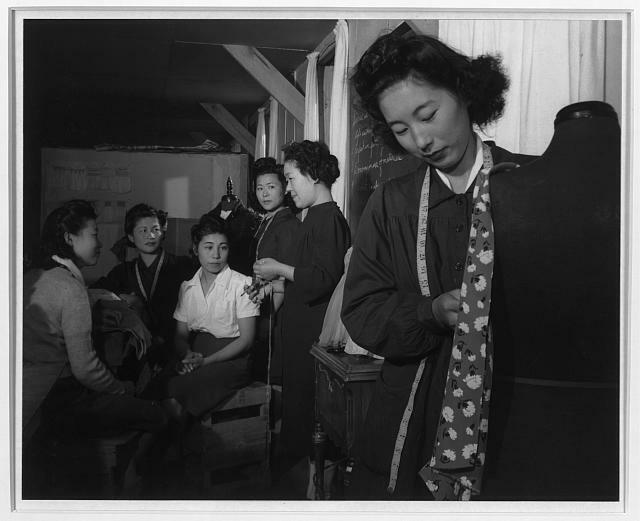 The photographs document the daily activities of the internees—their work and leisure routines, and their struggles to maintain some semblance of normalcy while living in hastily constructed barracks in the harshest of conditions. 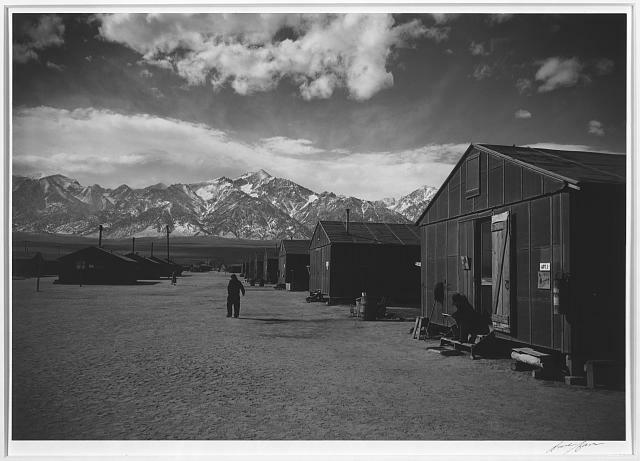 Though the landscape, and its climate, could be desolate and unforgiving, it was also, as Adams couldn’t help but notice, “magnificent.” The collection includes several wide shots of stretches of mountain range and sky, often with prisoners staring off longingly into the distance. 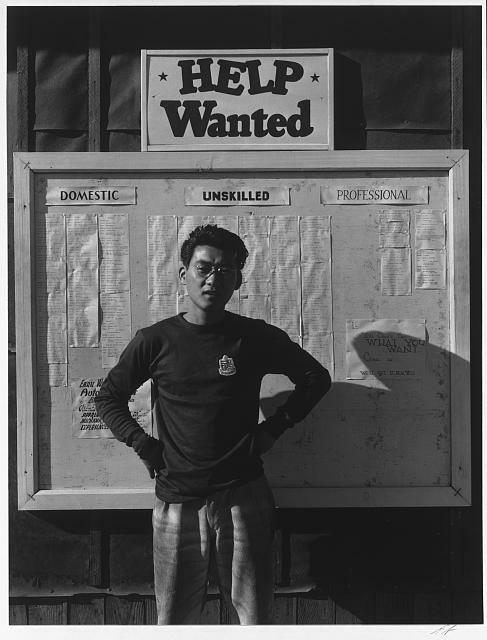 But the majority of the photos are of the internees—men, women, and children, often in close-up portraits that show them looking variously hopeful, happy, saddened, and resigned. 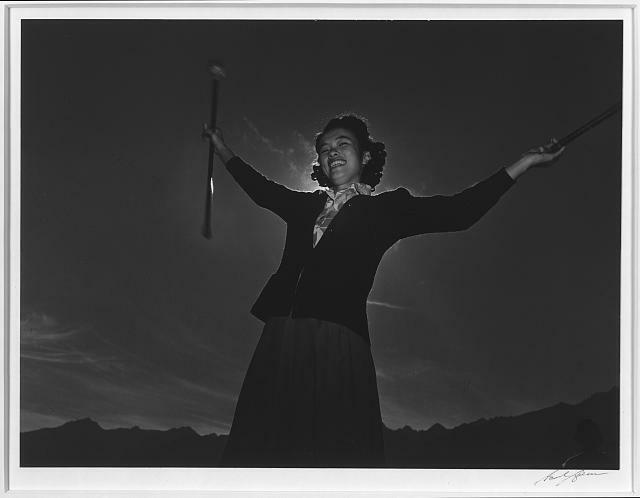 You can view the entire collection at the Library of Congress’ online catalog. 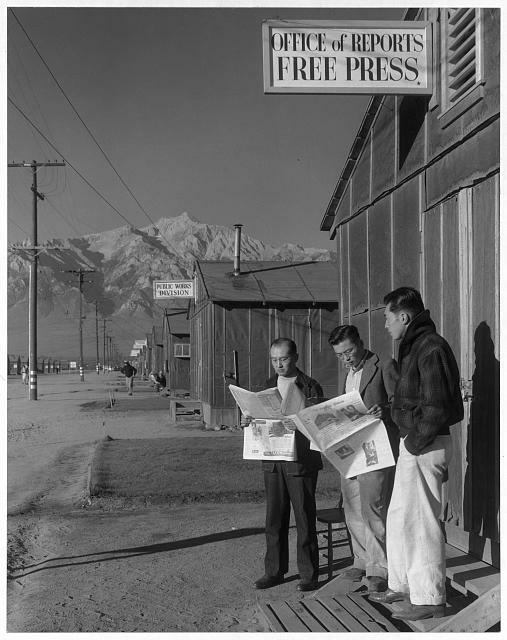 Adams also published about 65 of the photographs in a book titled Born Free and Equal: The Story of Loyal Japanese Americans in 1944. The collection represents an important part of Adams’ work during the period. But more importantly it represents events in U.S. history that should never be forgotten or denied. The japanese bombed Pearl Harbor on a Sunday. That’s about as treacherous as you can get. We don’t owe them reparations. 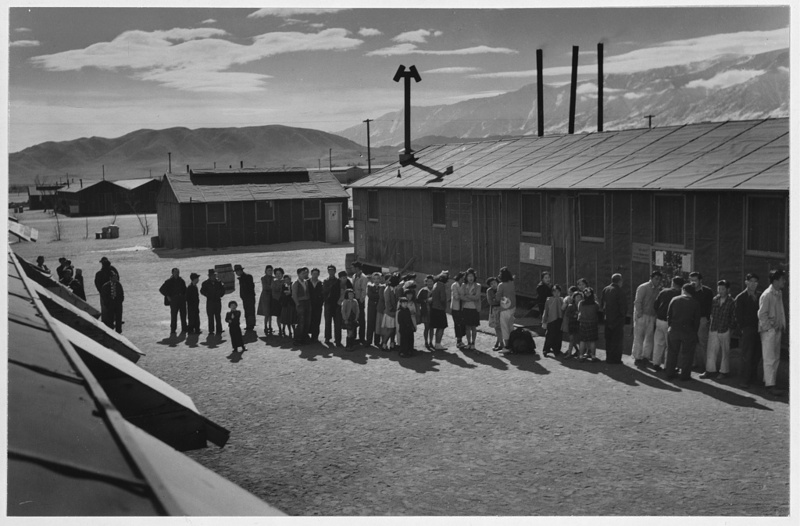 In case you missed it, Mr. Drabke, these were Japanese AMERICANS; born in the USA. Drabke: that’s a German name, isn’t it? Wow, A very interesting look at how America looked at war, and not so long ago. The people inside our own borders suspect’s ? If we could learn something from this today, what would we learn ? In other Country’s the killing of Christian’s show’s we are in a Religious WAR, People being killed for their belief’s in God. These were mostly honest people whom had their property stolen, thrown into a concentration camp. were we any better than the germans? @Mike Holcomb, well we weren’t systematically executing them, which I feel is a pretty big distinction. That said, it should be regarded as a mark of shame on American history for our treatment of our fellow Americans. What ever ones race gender or creed we as Americans are united by the ideals of freedom and democracy. Imprisoning our countrymen because they looked like our enemy is atrocious and the shame it brings us is well deserved. This reminds me of when George Carlin told this story on one of his shows while speaking of “our” rights. Please look up another little known fact associated with this story. The 442nd Infantry Regiment was made up mostly of American soldiers of Japanese ancestry. Most decorated unit for size and length of service.